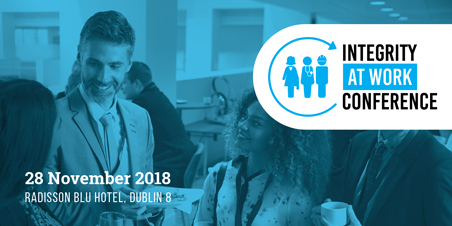 Employers and professionals have been exploring how to help staff to speak up about wrongdoing in the workplace with the support of Irish and international experts at our second annual Integrity at Work Conference, 28 November. Addressing the conference, Transparency International Ireland Chief Executive, John Devitt said: ‘TI Ireland has been operating the Speak Up Helpline for whistleblowers, witnesses and victims of wrongdoing since 2011 and has seen a sharp rise in calls since the introduction of the Protected Disclosures Act in 2014 and when a whistleblowing case is in the news’. 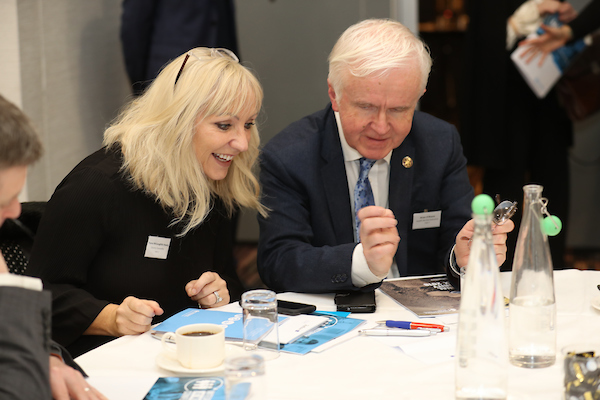 ‘In the wake of the Disclosures Tribunal and the recent amendment to Ireland's whistleblowing legislation, it is understandable that Irish employers are seeking clarity on how to deal with protected disclosures in the workplace. Furthermore, with the European Commission proposing a new directive to strengthen whistleblower protection across the EU, employers across all sectors need to assess if their staff feel equipped to raise or deal with a concern of wrongdoing’, he added. The 2016 Integrity at Work (IAW) survey found that 76% of private sector and not for profits did not have a policy in place. Under the proposed EU directive, all companies with more than 250 employees will have to set up an internal procedure to handle whistleblowers' reports. 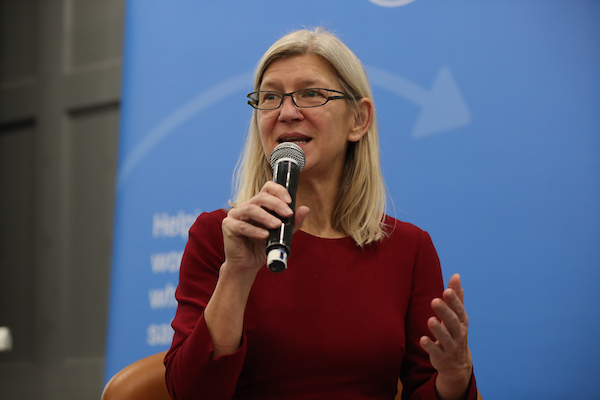 Speaking at the conference Dana Gold of the Washington based Government Accountability Project addressed the need for internal whistleblowing procedures so that reports don't need to escalate beyond the organisation. ‘97 percent of whistleblowers report internally first. They don't want to go outside. Usually they'll speak up twice before they'll go outside. Companies who use internal whistleblowing procedures have fewer lawsuits and lower settlement costs. So there is no reason not to get this right’. 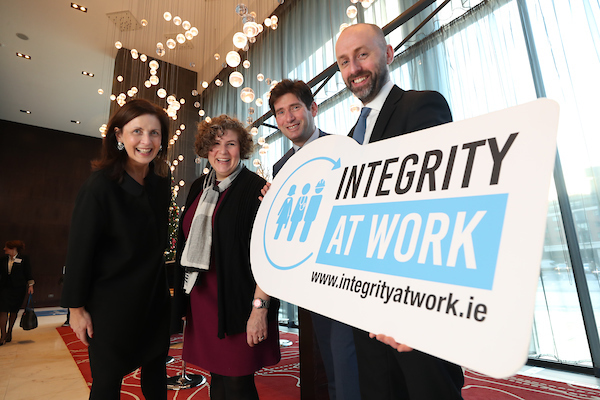 The Integrity at Work conference brought together representatives from over 50 employers from the public, private and non-profit sectors to share experience and insights on supporting staff to speak up about wrongdoing in the workplace. 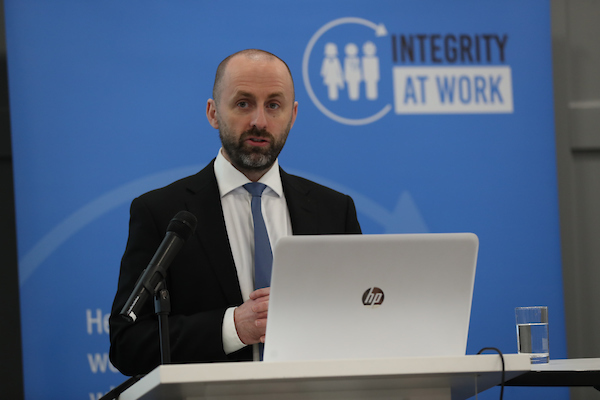 The conference is part of the Integrity at Work programme, a not for profit initiative developed by TI Ireland. 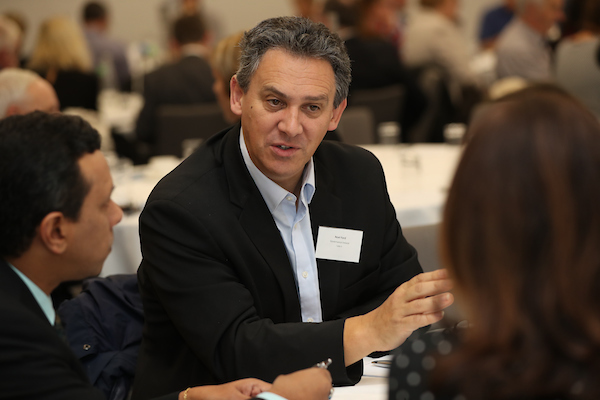 Launched in 2016, Integrity at Work is the world’s first initiative aimed at bringing public, private and non-profit organisations together to create safer working environments for people to speak up about wrongdoing. 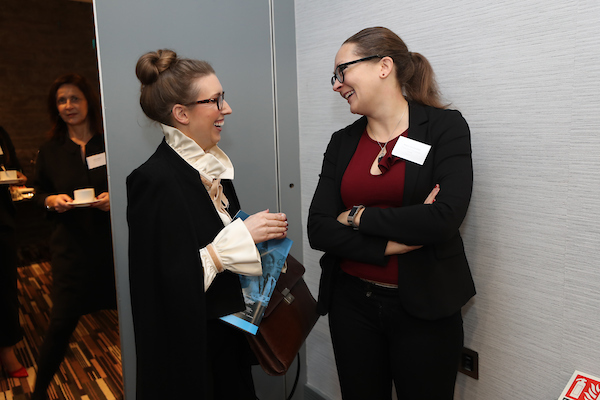 It builds on the work of TI Ireland over the past 13 years in supporting and campaigning for better protection for whistleblowers, including its opposition to recent amendments to the Protected Disclosures Act. 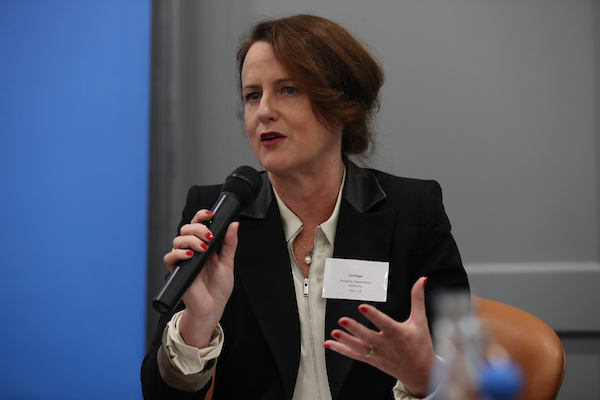 Reflecting on how organisations are engaging with protected disclosure policies, Liz Pope, CEO of the Property Registration Authority said, ‘it's not just a document on the Web. It might help us do business better or provide a better service. It's everybody's business, not just a policy’.